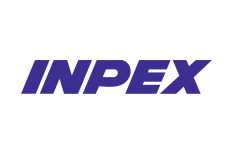 INPEX is a worldwide oil and gas exploration and production company based in Japan that ranks high among the global Independent Upstream Companies next to the Super Majors. INPEX is currently carrying out oil and natural gas projects through its group companies involved in more than 70 projects across 26 countries. Since its establishment in February 1966, INPEX has been expanding its exploration and development activities in Indonesia as one of its international business core areas. Currently, INPEX along with its strategic partners is participating in five production blocks, three development blocks and three exploration blocks. During the 46-year existence in Indonesia, INPEX has invested in over 20 exploration projects in Indonesia, including five offshore blocks operated by INPEX, namely North Aceh, North East Madura, Rabe, Masela, and Babar Selaru. INPEX discovered the Abadi gas field in 2000 located in Arafura Sea, 150-km offshore of Saumlaki, the capital city of Maluku Tenggara Barat Regency, Maluku Province. Since then, six appraisal wells were drilled within Abadi gas field and confirmed the natural gas reserves which were sufficient for the large-scale LNG development. Seeking an exploration geophysicist with 8-15years of experience interested in making a move to an Operator in Indonesia, must have hands on experience processing, analyzing and interpreting seismic and well data. Able to work well in a multicultural team and be highly motivated, disciplined, dynamic with good personality. Seeking a potential exploration geologist with 2-7 years of experience interested in oil & gas exploration in Indonesia, must have experiences of handling seismic and well data.